UP TO 13 gravestones were vandalised at a cemetery in Dublin in the last week, including that of W.T. Cosgrave. The Glasnevin Trust, who look after the cemetery, confirmed today that up to 13 Victorian and pre-Victorian monuments had been vandalised, with many being beyond repair. Goldenbridge Cemetery is a relatively small graveyard located in Inchicore in Dublin. The graves have been subjected to vandalism in the past, the Trust said. 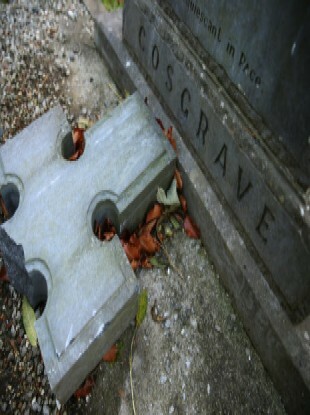 Cosgrave’s gravestone was previously destroyed in October 2014. W.T. Cosgrave served as president of the Executive Council of Irish Free State (the first Prime Minister of Ireland). The Trust said in a statement that the vandalism was “upsetting for all associated with the cemetery” particularly since it was working with other bodies to involve it in a local development project, including the re-opening of Goldenbridge fully after its closure to the public in the 1900s. “Glasnevin Trust is actively engaged with the Gardaí in an effort to bring an end to these truly distressing acts of targeted vandalism,” the Trust said. Goldenbridge Cemetery is locked to the public and can be visited by appointment only. Gardaí confirmed that they were investigating the destruction of nine headstones between the 7 and 14 March. It is believed that teenagers may have been involved in the vandalism. Email “Vandals attack gravestone of W.T. Cosgrave”. Feedback on “Vandals attack gravestone of W.T. Cosgrave”.